I have been reorganizing my craft supplies and found an oldie but goody - flocking. I completely forgot about this awesome product. It adds a touch of texture and dimension to any project. You can use a lot or just little. It can be used as a main color or as an embellishment. A little goes a long way so its also a good investment. To use, you add flocking like you would glitter. Place a small amount of glue in the area you want flocked, and then add the flocking. Shake off the excess back into the container. Its that easy! 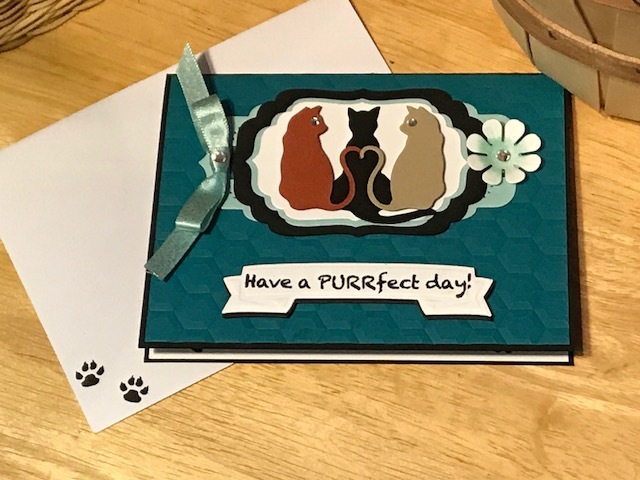 Here are a couple of projects where I used just touch to add something special to the cards. 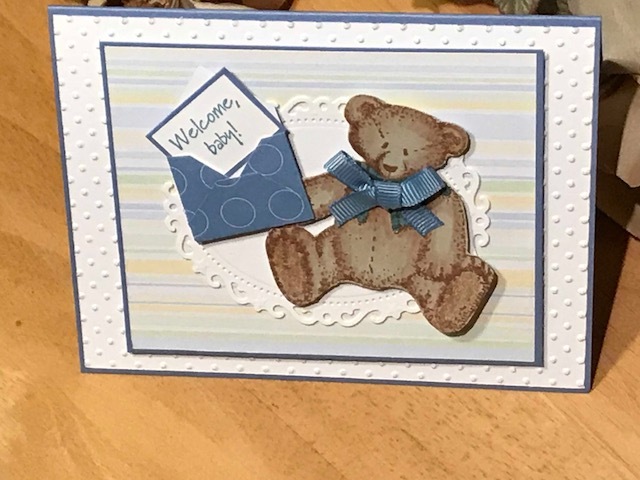 The first one is a teddy bear new baby card. I added the flocking to the bear's feet. For my next project, I used the flocking to highlight a specific area - the dog's ear. 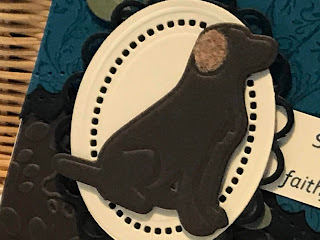 The die cut is embossed to show the dog's features. 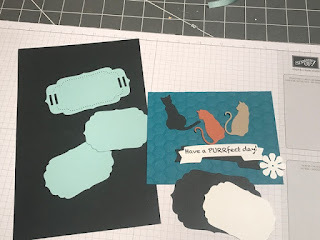 I used the embossing lines as a guide to place the glue. 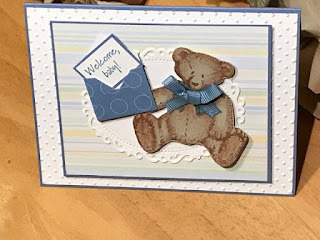 Again, this small amount of flocking added texture and extra dimension to this sweet card. Flocking comes in many different colors so the uses are endless. 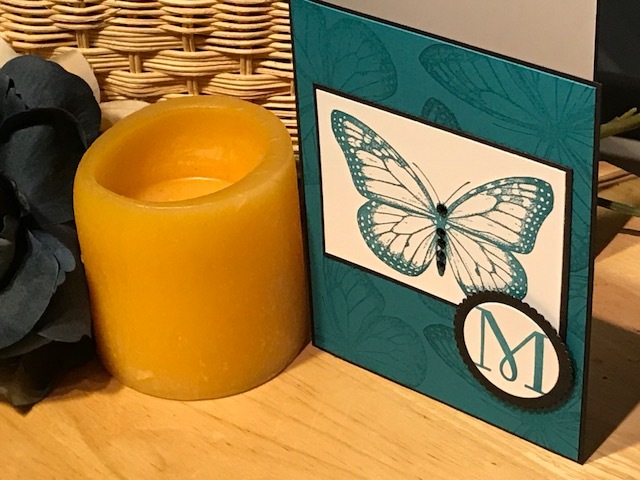 If you want flocking for specific stamped image, use Versamark with Heat 'n Stick powder. You apply the Heat 'n Stick powder just like embossing powder and heat. Once heated, the powder stays sticky. Apply the flocking and it will only stick to the embossed areas. Shake off the rest. I hope you look at flocking a bit differently now. I just love using it. I hope everyone is having a wonderful week. It's hard to believe it's August already. Like most of you, I love using vellum when making cards. I think it adds a little something extra - don't you agree. Here are a few of my favorite cards using vellum. The first card is monochromatic with just one small pop of color, or in this case black, along with the peach and vellum cardstock. The flowers and leaves are created with Versamark ink and white embossing powder. Don't be afraid of embossing on vellum - you just need to be a little more careful about how much heat you are applying. 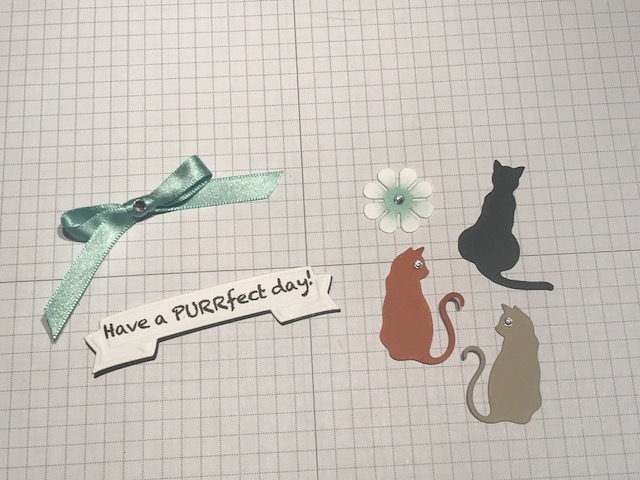 I then used the matching dies to cut them out once they cooled. 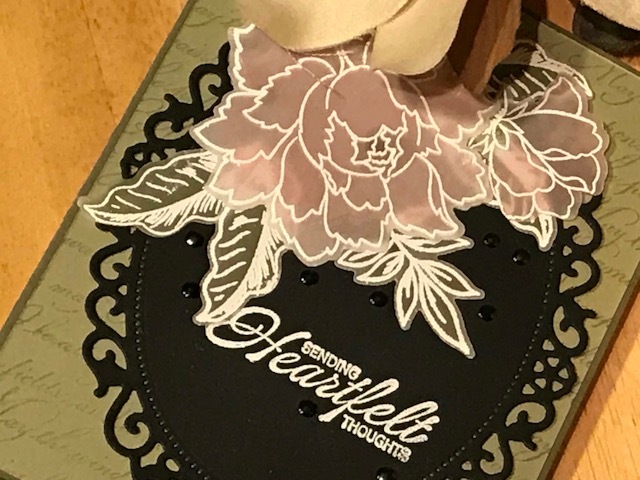 I then layered the flowers around the corners and added the sentiment. 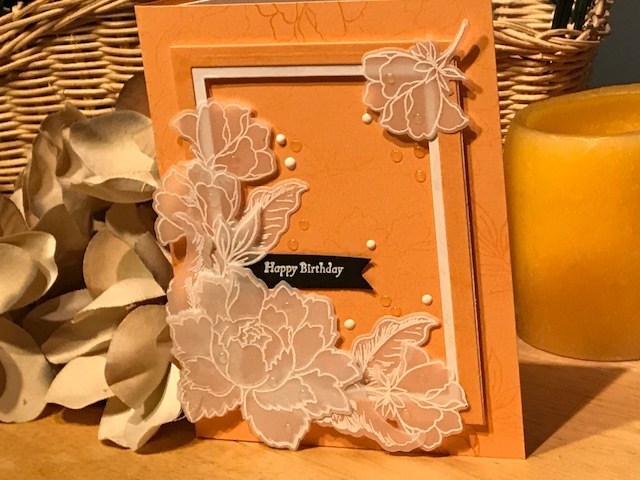 For me the main flower focal point was a little too transparent so that particular flower has two layers of embossed vellum. 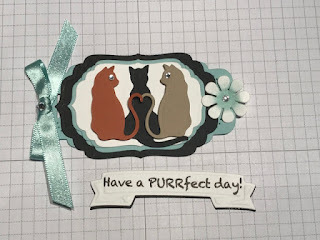 The next example uses the same embossing technique but with a different color scheme and sentiment. 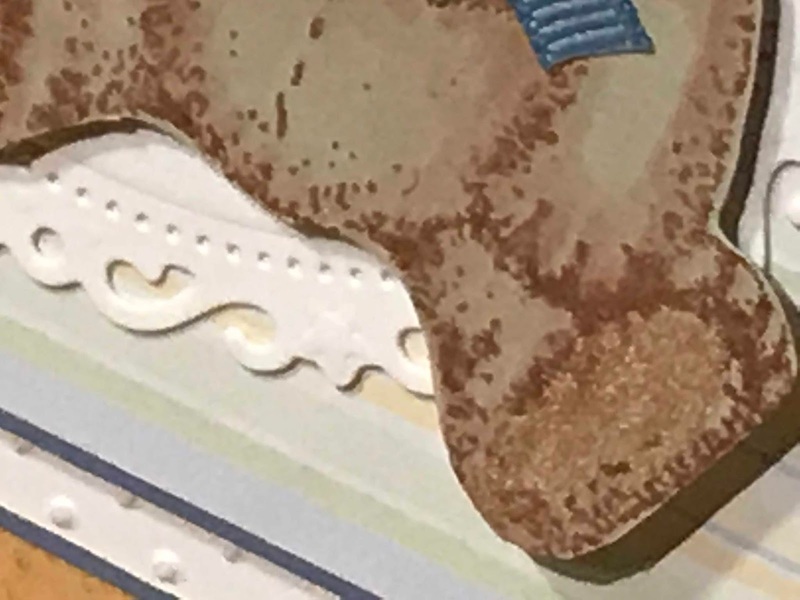 But this time I added some color to the back of the embossed image. I think it gives it a watercolor look. This technique is super easy and you don't have to worry about staying inside the lines. For this next card, I used the vellum for my sentiment - in this case, Thank You. 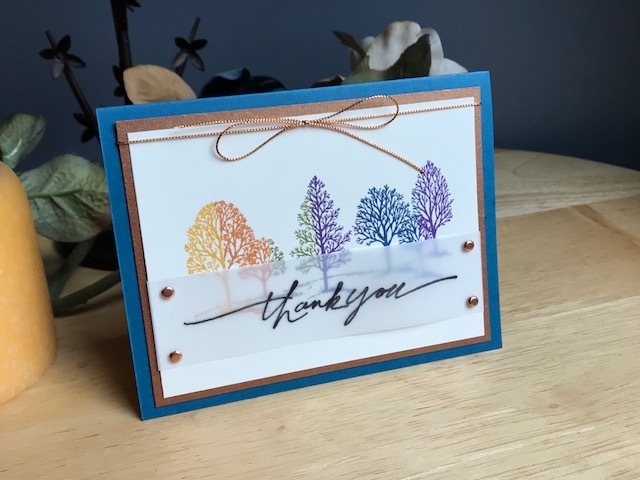 I like that you can still see the pretty trees through the stamped sentiment. You can use any kind of black ink that you have. I do find that Stazon works the best. You do need to let the ink the dry before handling or it will smudge. The challenge with using vellum is the adhesive shows through. And no one wants to see that. For the first two cards, I strategically placed the adhesive in densely embossed areas to cover. 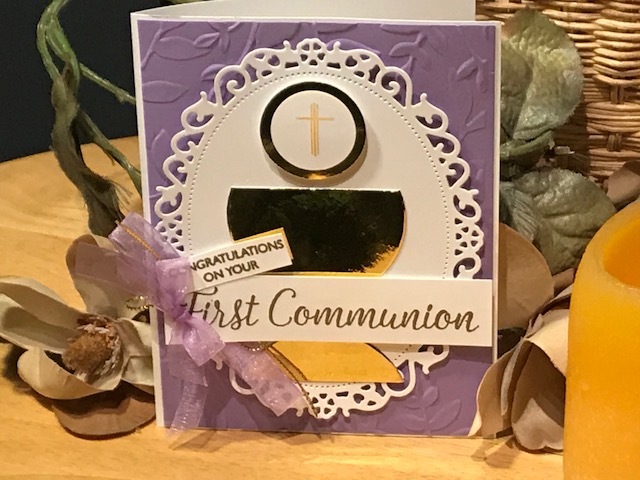 For the third card, I used copper brads to attach the vellum to the card. 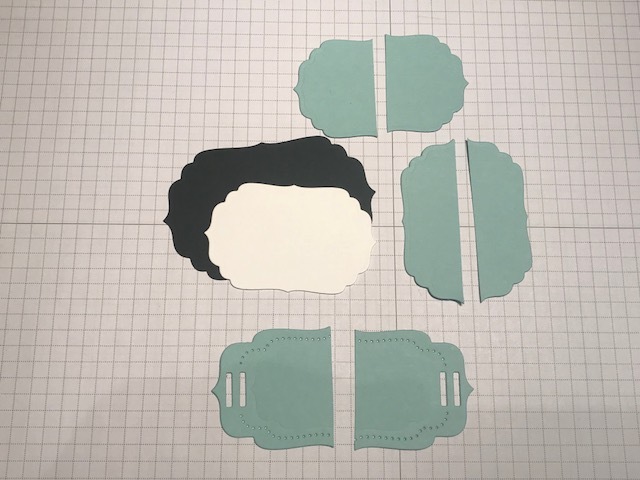 They serve two purposes - an embellishment and adhesive. I hope you give vellum a try if you haven't already. I just love the look and I think you will too. 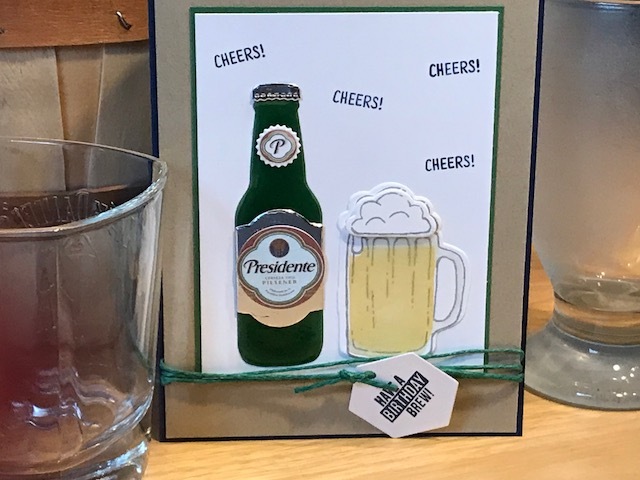 Like most of you, I find inspiration by looking at other handmade cards - I'm sure some of you have given me loads of inspiration. But recently, I have tried to think outside the box and look for inspiration in the unexpected. While dining out with my family at a Chinese restaurant, I noticed a piece of wall art. I don't think the piece is anything special but I did get inspired for a new card design. 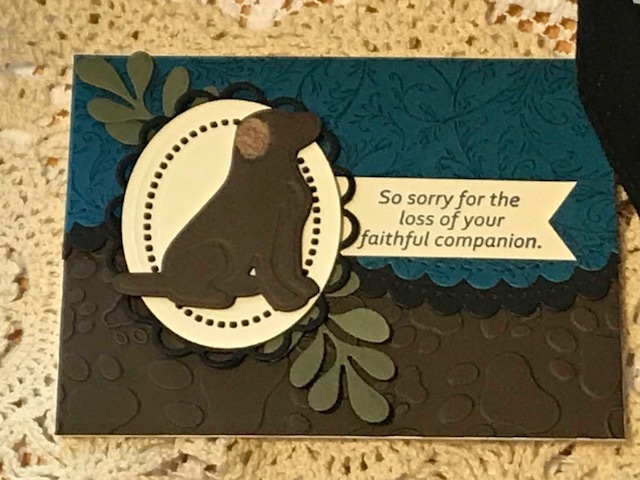 Below, the first image is the wall art (sorry its so blurry) and the second image is the card I made from that inspiration. What do you think? 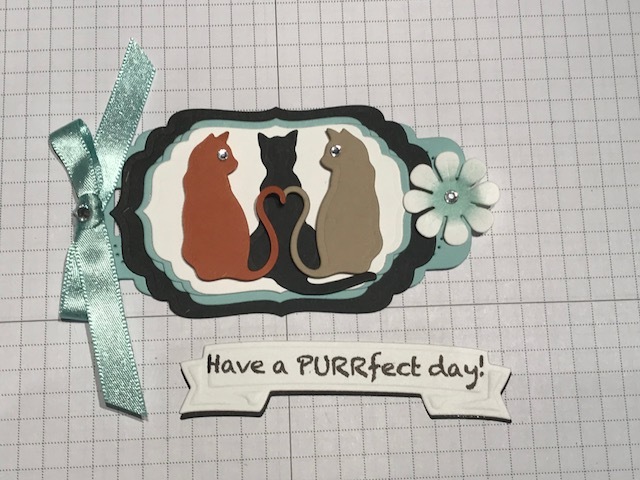 I made the frame with black mirror cardstock. 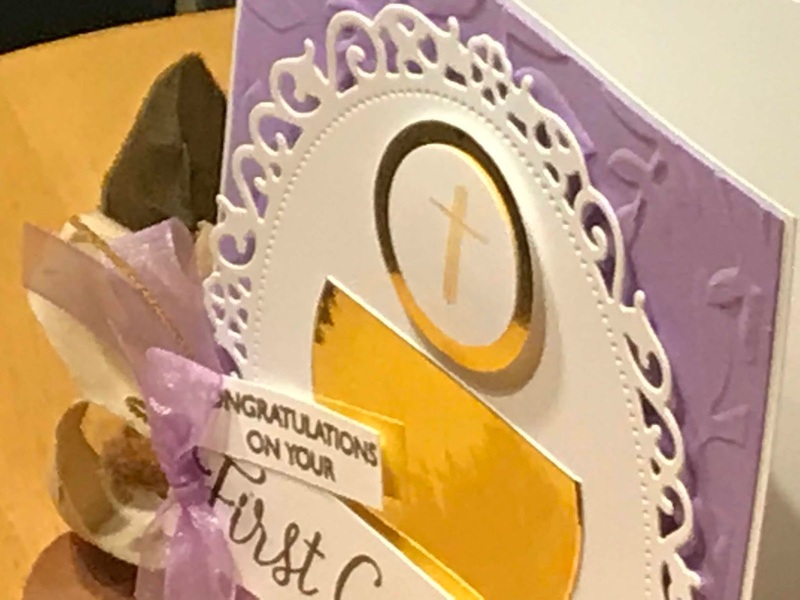 It adds a nice shine to the card. I used two rectangle nesting dies from Spellbinders to make the frame. Then I cut four - 1/8" wide strips and adhered them to the frame with each piece slightly larger than the frame. 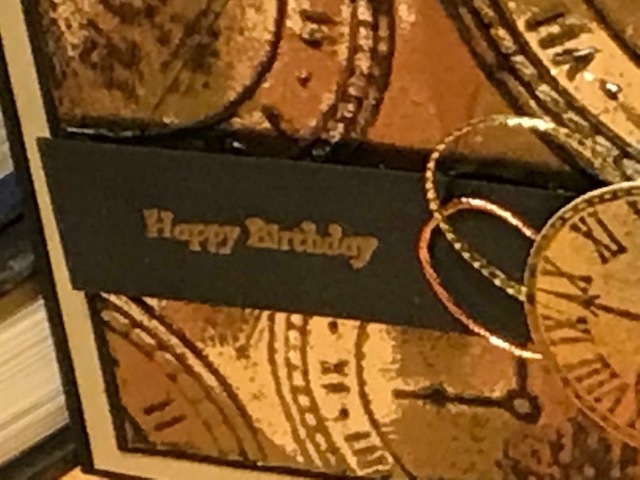 I wanted the card to be almost 3D. I think dimension really adds interest. I used dimensionals under the black frame, the white panel and the vase. To make sure I had the vase in the right spot, I stamped the vase directly on the paper. 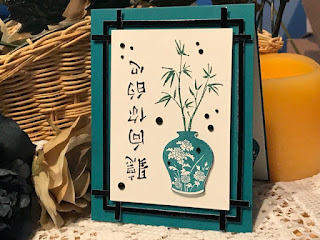 It was really easy then to position the bamboo stamp in the right spot. I also stamped another vase on a scratch piece of white cardstock, cut it out and adhered it with dimensionals directly on top of the first image. 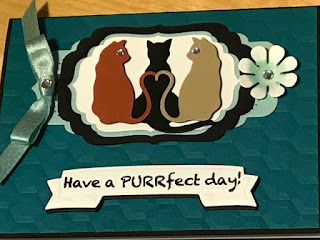 For this card, I used stamps from three different stamps sets. I just mixed and matched until I found the right look. To add sparkle, I used some black rhinestones that I had in my stash. I think they really work with my design. I also find inspiration from quilts, stained glass windows, t-shirts, postcards, and so many other things. When something catches my eye, I almost immediately start thinking about a new card design. Now go - get inspired! I am in love with this technique! Doesn't the background look like tarnished metal? 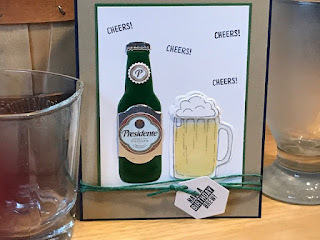 I think this technique is perfect for masculine cards - this one is a birthday card but you could make it work for any sentiment. It's so much easier than it looks and is sure to impress your friends and family. For this card, I used silver mirror cardstock with gold and copper embossing powder. Any combination works, just use what you have. 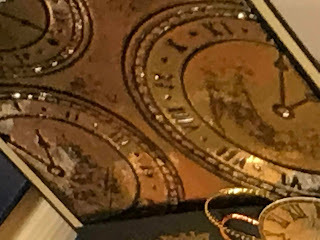 The background is made with a clock embossing folder. Tip: when dry embossing with mirror cardstock use a thinner sandwich in your die cutting machine. Thicker sandwiches will press the folder too much causing the paper to tear. Once the paper is embossed, take the Stazon inkpad and lightly drag the ink across the raised images. This gives it an aged look. Make sure to dry the ink before moving to the next step. I use my heat tool to quickly dry the ink. Now comes the fun part. Using the Versamark pen, color in patches on the embossed piece leaving some of the mirror cardstock exposed. 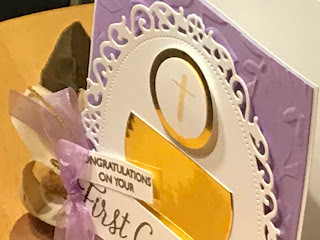 Cover with gold embossing powder shaking off the excess. The powder only sticks to the Versamark ink and then emboss with a heat tool. 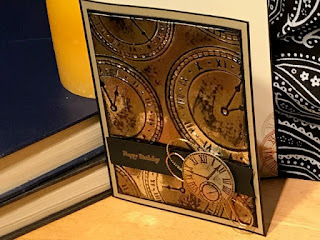 Repeat the same process with the copper embossing powder. Continue to add both colors until you get the coverage you like. To finish the tarnished metal look, add more Stazon ink by apply the inkpad direct to the paper. Again, use your heat tool to dry but be careful not the melt the embossing you already applied. Next, I added an embossed happy birthday sentiment and made a simple embellishment. 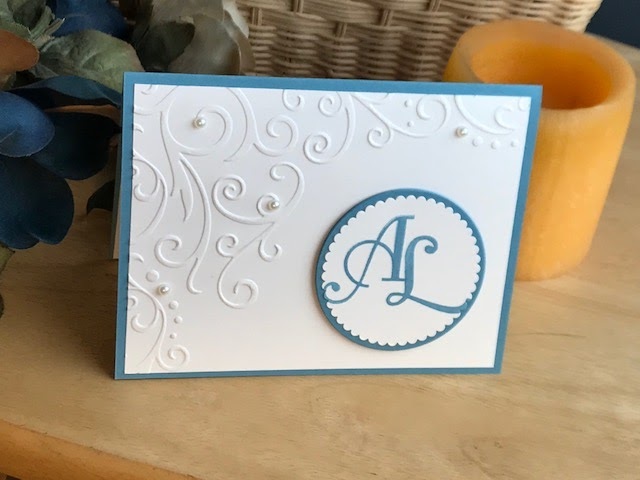 I think this card is stunning and so much fun to do! I hope you give this technique a try.